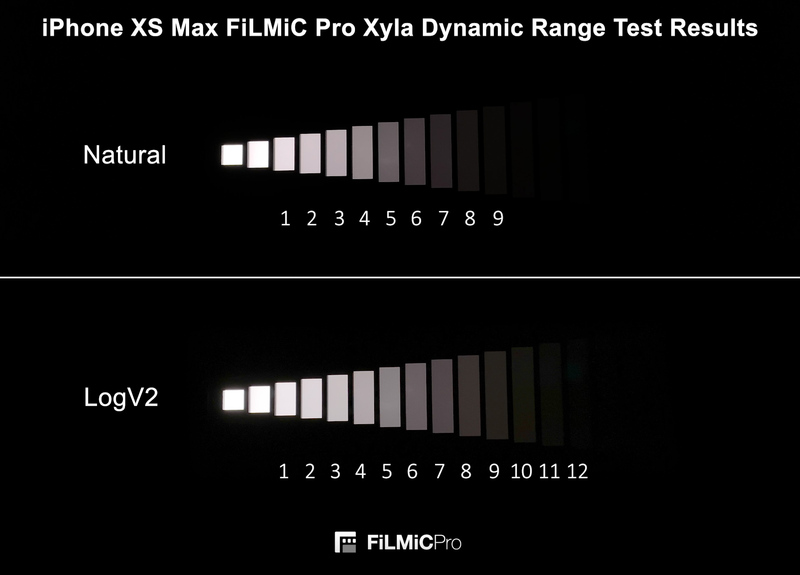 FiLMiC Pro’s new LogV2 gamma profile is designed to encode the maximum dynamic range from Apple’s AI powered imaging pipeline. 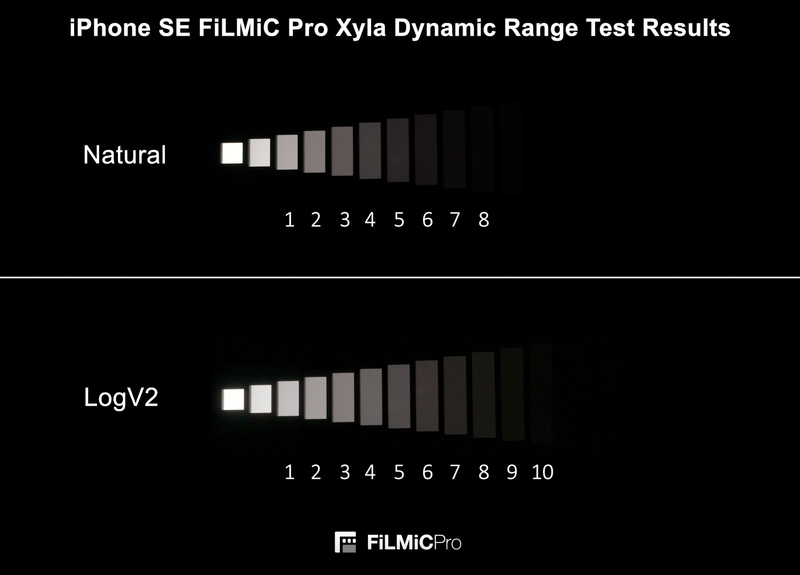 FiLMiC Pro have shown a solid 11 – 12 stops of dynamic range is possible with the latest generation iPhones using the new FiLMiC LogV2 and FiLMiC’s new “Cubiform” computational imaging process, according to their own dynamic range tests. The maximum bit rate of FiLMiC Extreme has also been increased from 100Mbps to 130Mbps. It’s Log, But Not As You Know It The new FiLMiC LogV2 is log, but not as you know it. The first thing to keep in mind when viewing the uncorrected vs. corrected video, is that the process creating the values that are encoded into the final file is computational. The luminance and chrominance are treated quite independently in the process. This means FiLMiC LogV2 doesn’t look desaturated as you would expect log encoded video to look. Luminance is in fact encoded logarithmically, resulting in extended overall dynamic range being recorded, but the saturation values are much higher than with most log encoded video. FiLMiC LogV2 saturation is also non-linear, it is highest in the midtones and drops off in the shadows and highlights, but the midtones in fact have quite high saturation levels. 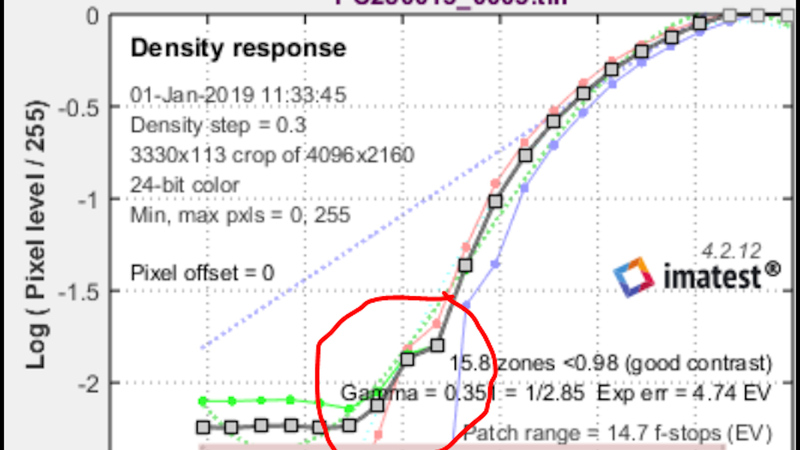 As you can see from the last frames in the video showing the ColorChecker, I’ve had to reduce saturation to line up the chart on a vectorscope. This is the complete opposite of correcting normal log encoded video. 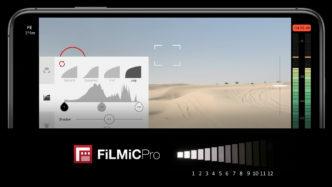 FiLMiC Pro made a lot of mobile filmmakers happy when they launched the first ever flat and log gamma profiles for smartphones. These profiles carefully remapped 8-bit RGB values coming from the camera before encoding back into an 8-bit container applying a modified gamma curve in the process. The first FiLMiC log looked like what you’d expect from a traditional log encoding, desaturated across the board and susceptible to banding and other issues once those levels are corrected. It is only 8-bit after all. The FiLMiC Flat profile worked quite well, extended the effective dynamic range to a useful degree and was easy to color correct. It was a good compromise, not as aggressive as log, but offering some extended highlights. This image processing worked on devices back to the iPhone SE / 6S Plus. FiLMiC Flat became my goto profile for pretty much everything. I wrote a hands on review of the first generation FiLMiC log here on cinema5D. Then came the iPhone XS / XS Max and XR, employing more aggressive AI driven image processing and dynamic tone mapping than any previous devices. For default camera users and average consumers, this technology works wonders out of the box, enhancing low light performance and generally optimizing an image on the fly to look its best without any manual intervention. The FiLMiC engineers realised they needed to take a different approach going forward, and this has lead to the launch of an entirely new computational imaging module custom built by FiLMiC called “Cubiform”, and two new profiles in FiLMiC Pro version 6.8.0, FiLMiC LogV2 and FiLMiC FlatV2. 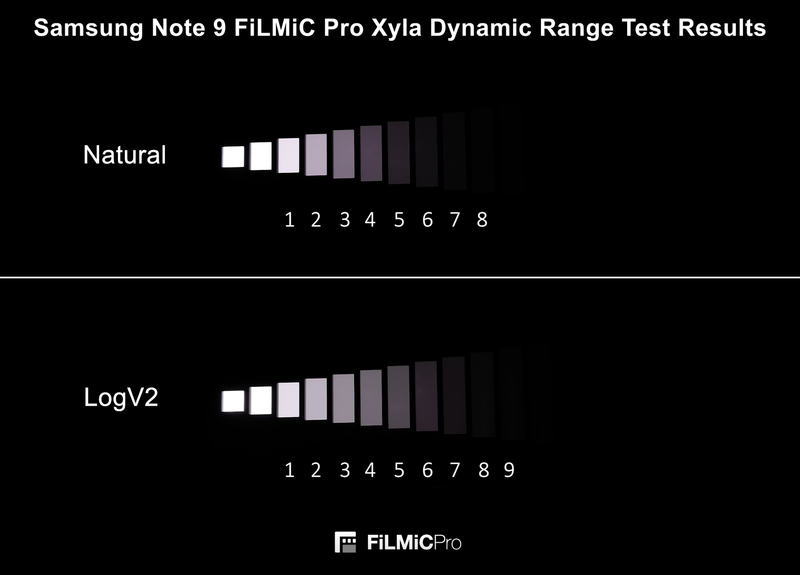 Introducing FiLMiC Pro LogV2 and FlatV2 Rather than fight Apple’s new dynamic tone mapping and smart HDR implementation in the latest generation iPhones, the new FiLMiC Pro image processing takes advantage of the extra processing power of the A12 chip, building a 64-bit, high precision space for internal computational processing of the incoming 8-bit luma and chroma data fed from the iOS pixel buffer. The source iOS image buffer data is only 8-bit, and final encoding is also limited to 8-bit, so FiLMiC have developed a custom processing pipeline that sits between the pixel buffer stream and the encoder, which does a lot of very clever math. This math builds a dynamic model with a higher computed precision than the individual RGB source data points, and ensures that an optimised range of values are output to the encoder. FiLMiC’s lead iOS imaging developer Chris Cohen explains. LogV2 is the culmination of years of work done on a proprietary computational-imaging module that we internally call “Cubiform”. Cubiform creates a mathematical environment where we can process the luma and chroma of an image with 64-bit precision. In the case of LogV2, we use this high-precision environment to construct a luma-map from the 8-bit source. Because the luma-map is derived from a flattened 24-bit RGB vector, the resulting fidelity exceeds the 8-bit precision of the individual Red, Green, and Blue elements. This high quality luminance information allows us to reconstruct the gamma of the identity image using a process called ‘gamma vectorization’. After this operation is complete, we map the 64-bit scalar representation of the image into an 8-bit container for publishing to our encoder. The result, as you have seen, is dynamic range and tonal coherence that seemingly bypasses the sparse data-point problems associated with traditional 8-bit gamma augmentations. With LogV2, we have chosen to abandon linearization and embrace the dynamic nature of the iOS pixel buffer stream. Instead of attempting to perfectly linearize the image, we modify the native gamma with a delta-augment that results in a spline that resembles a tradition log base 2 profile. Because iOS tone mapping is still active, the gamma spline will occasionally take on sigmoid characteristics. LogV2 produces an image with non-linear saturation: it is greatest at the mid-tones and progressively decays as the luminance approaches the back or white points. FiLMiC LogV2 Dynamic Range Tests Let’s take a look at the dynamic range test and the results. The description and details below of the test are taken from FiLMiC Pro’s own documentation. They used the Xyla 21 stop dynamic range testing chart to measure the FiLMiC LogV2 dynamic range improvements. All test footage was captured at 4k extreme (H.264) with a frame rate of 24fps and a manual white balance of 3800k. Electronic stabilization was disabled and testing was undertaken in a light sealed room. The testing methodology was as follows: The smartphone was held approximately 5-7cm from the Xyla chart with the lens positioned over the third f.stop, which was used to set exposure (we purposely chose to over expose stops 1 and 2). Digital zoom was then employed from the rocker so that f.stop 3 completely filled the frame to aid in setting exposure. Exposure was then locked, and FiLMiC Pro was zoomed all the way back out. They used their live analytics to confirm f.stop 3 was correctly exposed, with f.stop 2 and 1 clipping. Smartphone was then placed in a tripod approximately 2.5 feet from the Xyla test chart. A clip using the ‘Natural’ curve was recorded. A clip using the ‘LOG’ curve was recorded. Clips were imported to a computer using iTunes File Sharing to ensure a lossless transfer. 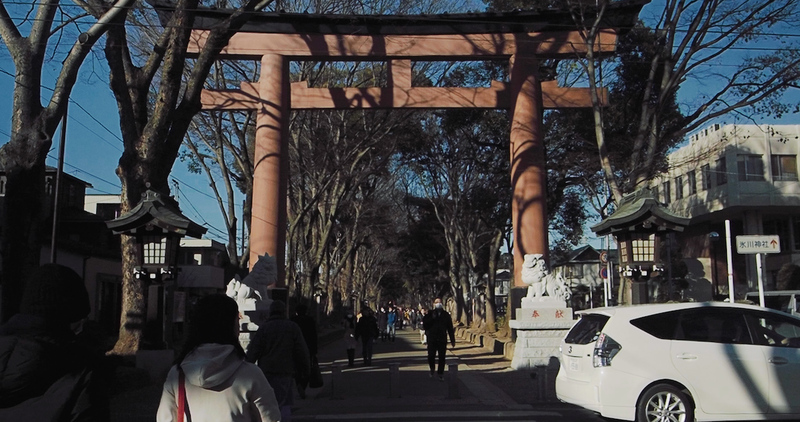 Using Premiere Pro CC 2019, natural and log clips were composited on top of one another in a new sequence and exported as a still image frame. The latest generation iPhones have an impressive base dynamic range of approximately 9 stops (Natural). When FiLMiC LogV2 is employed we see approximately 2.5 additional stops enabling approximately 12 stops of dynamic range. The iPhone SE and 6s Plus see impressive dynamic range improvements. The native base dynamic range of approx. 8 stops sees an increase of 1-1.5 additional stops helping it approach 10 stops of dynamic range . The Samsung Note 9 has a native base dynamic range of approx 7 stops when HDR is deactivated. With FiLMiC LOG v2 they claim to able to offer approx. close to 9 stops of dynamic range. FiLMiC LogV2 Workflow Tips In the past few weeks I’ve been shooting a lot of test charts under a wide variety of lighting conditions, and analysing the recorded image in order to understand the optimal method and workflow to get the best performance out of FiLMiC LogV2 on the iPhone XS Max. It’s not as easy as it sounds because both FiLMiC and Apple’s own image processing algorithms are making adjustments as lighting conditions change. Tracking what one variable is doing is hard enough, but when multiple variables are changing concurrently, even if they work well together, it takes time to recognise repeatable patterns and predictable behaviour. Only then is it possible to understand and control what’s going on. Use the Exposure Reticle I would say the main takeaway I have, is to let the camera do its own thing when it comes to exposure. Don’t fight it. FiLMiC Pro does a very good job of finding optimal exposure all by itself, taking into account the effects of Apple’s local dynamic tone mapping and smartHDR. At this point, your iPhone knows more than you do about what it’s doing to the image. By placing FiLMiC Pro’s exposure reticle over the brightest part of the image (often the sky when outdoors) and locking it there, I almost always have the best dynamic range recorded for the lighting ratio of the scene. 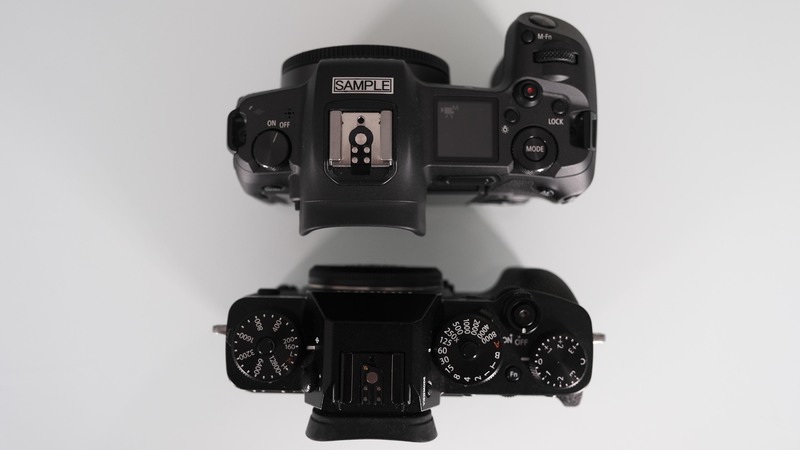 It will favor the lowest ISO and lowest shutter speed combination for correct exposure all by itself. In terms of white balance, I set it using the grey card and lock it. When using the PolarPro Iris ND 64, which is my goto ND strength for bright sunlight, FiLMiC Pro will automatically set the correct ISO for a 1/48th sec shutter, and even if this was above minimum ISO, it was always optimal, and I haven’t seen noise issues so far. I have yet to explore low light performance at the same depth I’ve been testing well lit conditions. So that’s another story for another time. Use of ColorChecker Chart for a Color Managed Workflow I highly recommend using an XRite Video ColorChecker chart at all times. In fact, I think this is an absolute must. 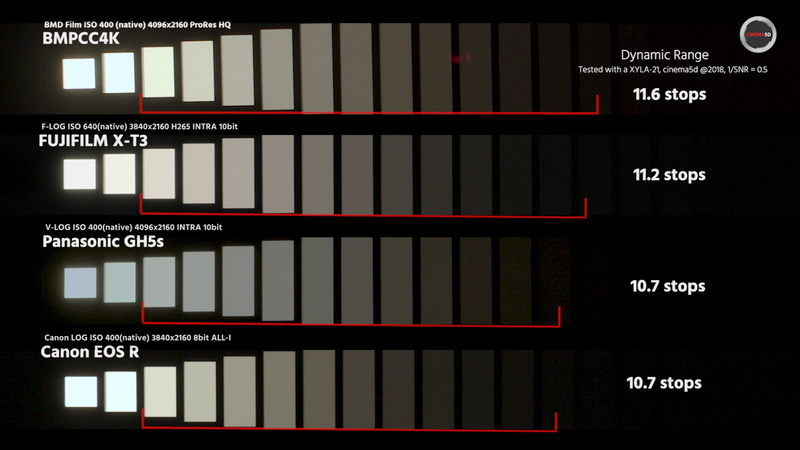 In my experiences the past few weeks, the chart is critical for setting and locking white balance in camera, and for accurate color correction in post. When multiple variables are changing all the time in camera, including the gamma, you need some kind of a trustworthy reference providing a range of greys, black, white and color chips. The XRite Video ColorChecker Passport is ideal for using quickly on the go. Shooting the chart consistently provides the reference you need for correction and shot matching. FiLMiC have created deLogV2 and deFlatV2 LUTs which you can download for free and work well as a starting point to bring you back to near Rec.709 before manually tweaking curves, hue and saturation to get you perfectly lined up on a waveform and vectorscope. A combination of FiLMiC’s deLogV2 or deFlatV2 LUT on node one, plus a manual correction on node two allows me to perfectly align a Video ColorChecker chart on most shots under most lighting conditions. Sometimes there are problems, but often this is due to incorrect exposure. Below is FiLMiC’s own LogV2 demo video. 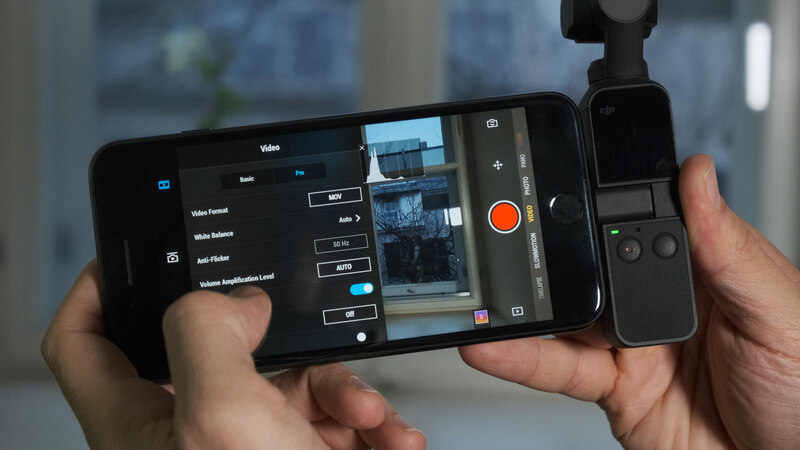 How to Get FiLMiC Pro and FiLMiC LogV2 The FiLMiC Pro app is available on the Apple App Store and Google Play. For Android devices there is also a FiLMiC Pro Evaluator which will help you determine if your device can run FiLMiC Pro, and which features it supports. FiLMiC LogV2 and FiLMiC FlatV2 are part of the Cinematographers Kit, which is an in-app purchase for $15. Science or Snake Oil? After my tests over the past weeks, I can say that FiLMiC LogV2 does work, and it does preserve an impressive dynamic range from a smartphone camera, especially the latest Apple iPhones. However, a bit of a disclaimer, I find it takes a fair amount of work to get all the benefits. It’s not a point and shoot process. Shooting a chart is a must for post, and putting the time and effort into color correcting each shot individually is necessary to get the best results. If you’re into pushing smartphone imaging to the ragged edge, you’ll love FiLMiC LogV2, as long as your white balance and exposure are correct in camera, the files are lovely to grade, despite being only 8-bit 4:2:0, and resist banding and other artefacts you would normally associate with an 8-bit log gamma implementation. If you follow a color managed workflow, you’ll get some amazing results. 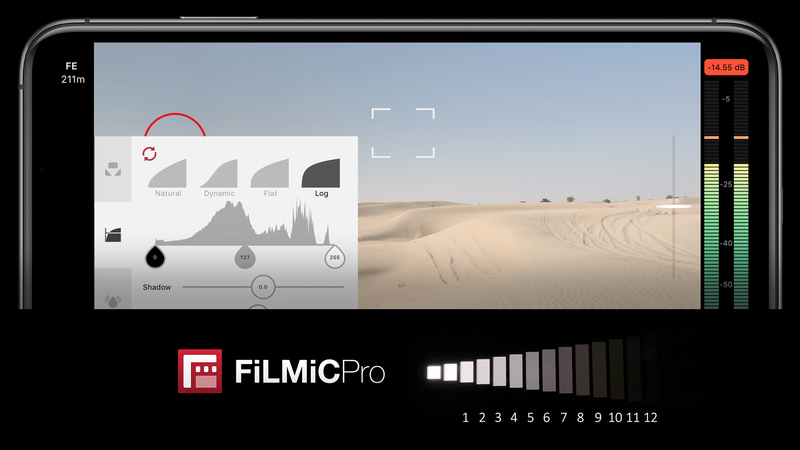 Are you a FiLMiC Pro user? 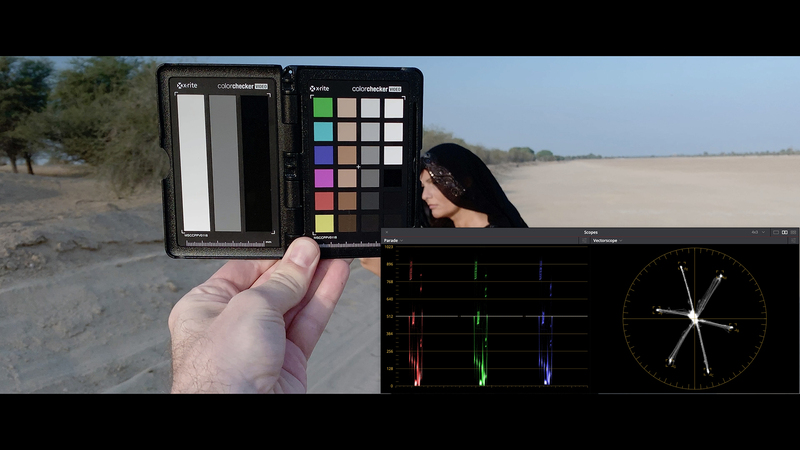 Have you already been using the Flat and Log profiles in the FiLMiC Cinematographers Kit? What do you think? Let us know in the comments. 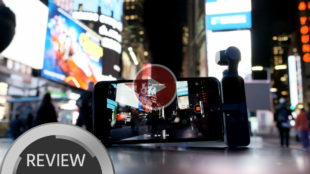 DJI Osmo Pocket Review & Hands-on – a TOOL for PROFESSIONALS? We took a look at the newly announced DJI Osmo Pocket and asked ourselves: Is this a tool that can be useful for professional filmmakers? After attending their global launch event in New York City, I worked on this initial Osmo Pocket Review for a few days. You might say: this is not a pro device, it’s for consumers! And you are absolutely right. But cinema5D has always been about making also inexpensive tools work for your filmmaking. Not a Full Review – Pro Filmmaker Features This is not a full review, there are tons of full reviews out there which cover every detail of this device. Unlike many other Youtubers, we unfortunately didn’t get access to the device before its release, which is why I decided to limit this review to an overview focusing on the “pro filmmaker feasibility” of the Osmo Pocket, and what it means for the industry as a whole. Osmo Pocket – Action Cam or New Category? 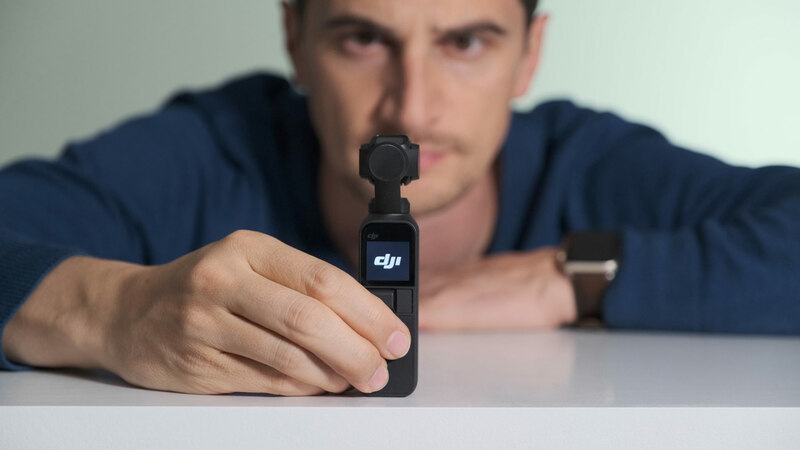 DJI has created a completely new category with this device indeed, they have managed to shrink the gimbal down to a truly pocketable device. Unlike some other devices which have “Pocket” in their name (hint, hint), you can actually put it in your pocket. 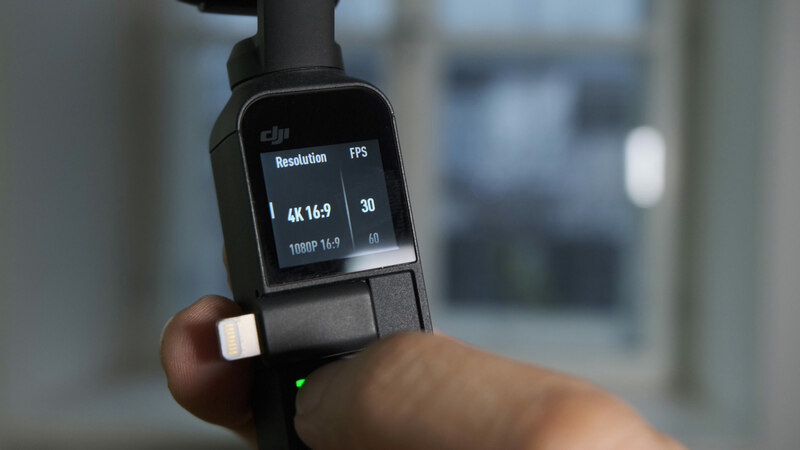 With all the small camera tech they have developed for the drones, we have expected DJI to take on GoPro’s action cam market for a very long time, and this is the closest they have gotten to do that so far. However, it’s a very different device than something like a GoPro Hero7, which seems a lot more robust, but also more made to be put on a car or helmet. 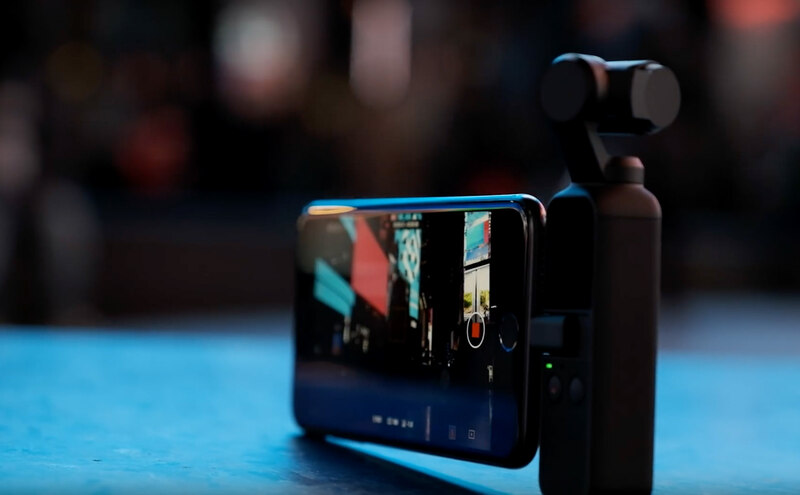 Obsolete: Smartphone Gimbals The Osmo Pocket on the other hand kind of makes using dedicated gimbals for smartphones obsolete, because DJI have combined it with a really impressively performing gimbal, something they have certainly learned to make right over the past few years. And it’s remarkably stable even when running. Sensor Size, Aperture, Field-of-View It has a 1/2.3 inch sensor, the same as in the Mavic 2 Zoom. 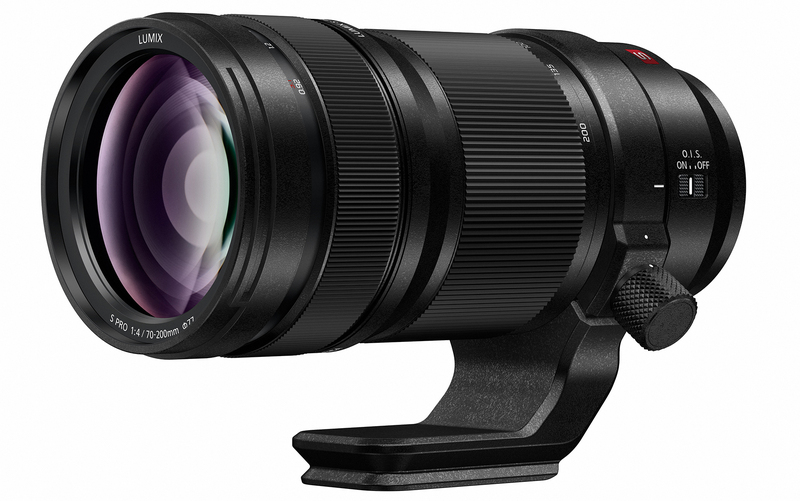 It’s a fixed f/2.0 lens with a 28mm full frame equivalent field of view. That means it’s still fairly wide but not crazy wide like some action cameras on the market – which actually makes it useful to shoot accompanying walk-and-talk shots. Tiny Screen, Pro Settings in the App The built-in 1 inch touch screen is truly tiny, but the interface is well thought-out and you have access to most of the functions, however not the Pro settings. For those, you need to use the DJI Mimo app. When using only the built-in screen, it’s practically impossible to judge focus. I recorded a couple of shots that are out of focus when using it without the app. When you attach the phone and use the app, you can access all Pro settings, and you immediately have access to all essential parameters like ISO, shutter speed, white balance, frame rates and more, and that makes it feasible as a professional device. It’s impressive that the camera can do up to UHD 4K 60p, however the bitrate reaches 100MBit only in that mode, the other UHD modes are around 80MBit/s, and HD only around 30MBit/s. What we are missing so far are picture profiles like D-Cinelike or D-Log, but as André said earlier, that will come in a free update to the Mimo app soon. 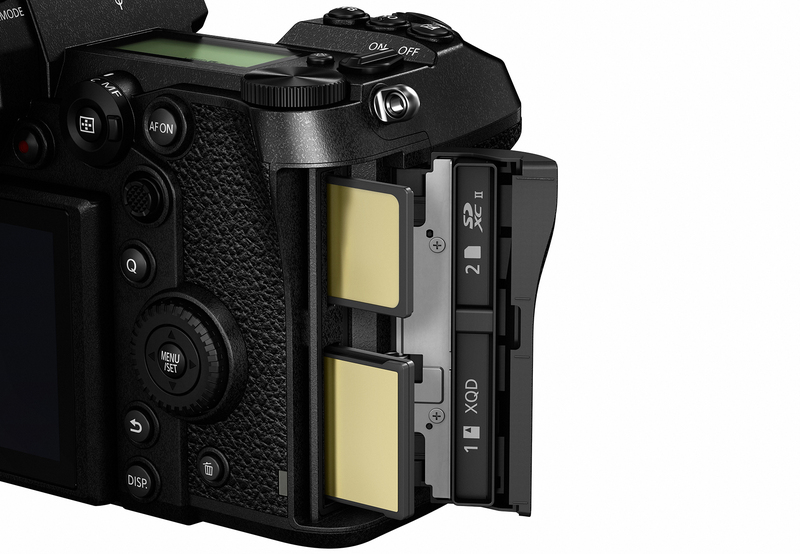 Hopefully they will also include ways to adjust the post sharpening and other parameters too. Audio Quality, Microphones In terms of built-in audio – it’s okay but not great, and it picked up quite some wind noise when I used it. The audio on the GoPro Hero7 is clearly better, but again, those two are hard to compare. There is no headphone jack to monitor the audio, but you can connect an external microphone with a separately sold 3.5mm adapter. So far even then you don’t have access to manual audio level controls. 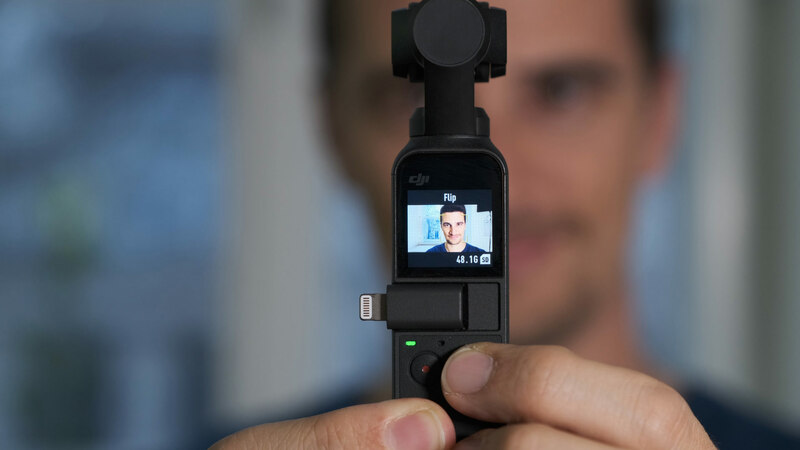 Conclusion – No-Brainer for Pro’s, Steep Price for Consumers To summarize – for the professionals, this device is tiny enough as a b-camera to keep in your bag, and at $349 cheap enough to be close to a no-brainer addition to your kit. It’s not the silver bullet to anything, but something you can hand to a director, producer or assistant if they desire an extra angle while moving. Vloggers will like this to produce stabilized footage without any fuzz, they should just use a separate microphone or audio recorder. For consumers, the price point might be a bit steep however, if they already have a very good smart phone camera in their pocket. 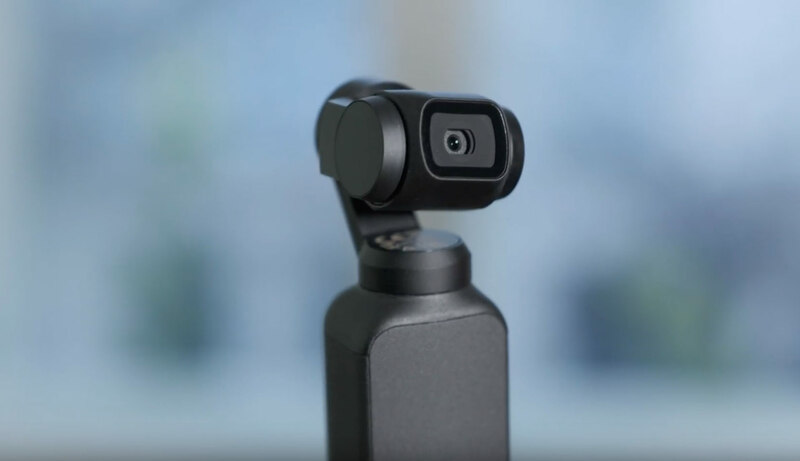 But the Osmo Pocket is a sign of things to come, and while it is impressive technology in a very small package, it’s still a first generation product, and without a doubt, DJI will work on a Pro version of this in secret in the background. We certainly can’t wait to see what’s next on this platform. The music used in the video above is courtesy of Music Vine. Get 25% off your next music license with code C5D25 (valid for one use per customer). 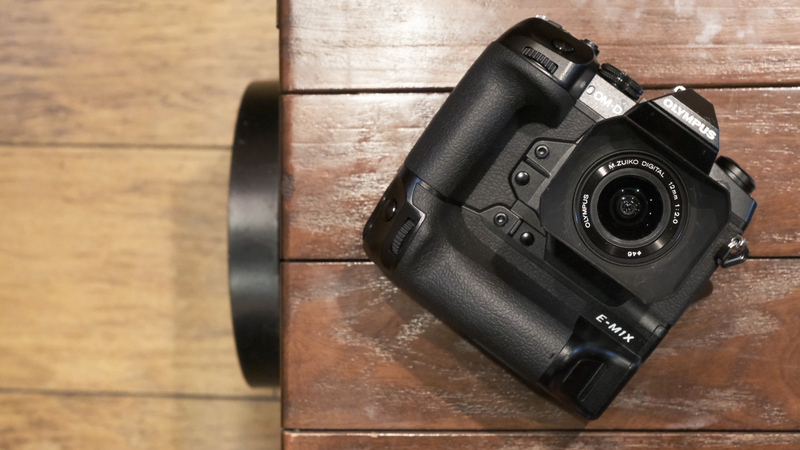 Canon’s first professional mirrorless camera, the EOS R, is now shipping and it was about time to review it, especially as it got such a cold Welcome from our community due to some limitations like a cropped sensor, video recording in 4K and 8Bit internal recording just to name a few. But when I saw how busy the Canon booth was during Photokina and the interest the EOS R generated over there, I’ve decided to spend some time with it and put it to the test. Canon EOS R It is the Wedding Season Here in India It is the middle of October and I’m about to fulfill one of my dreams: flying to India and film a short documentary about an Indian wedding. 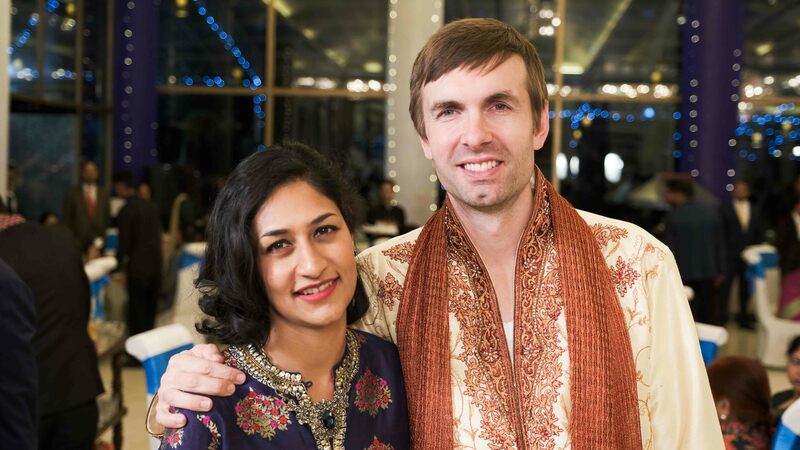 Thanks to my friends Nayni and Andy I was able to do so as Nayni’s sister, Sanymi was about to get married in her home town, Shimla, located at the outskirts of the Himalayan mountains. Shimla (over 2000m above sea level), is the capital of the northern Indian state of Himachal Pradesh and was the “go to” vacation place for the Brits during the British colonial time. Now, it is a very vivid friendly location with an amazing local cuisine, perfect for people who are visiting India for the first time. 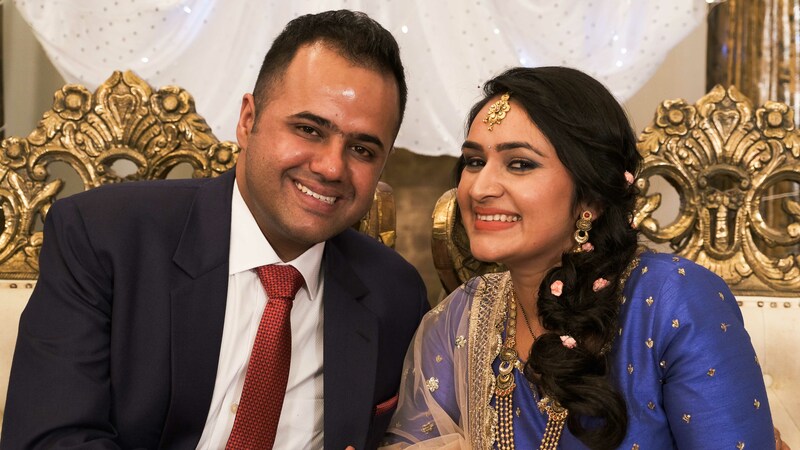 It is also the wedding season here in India and thousands of those are taking place every day! I feel truly lucky to have had the opportunity to actively participate in one of those and spend 3 consecutive days (and nights) close to the bride and groom and witness first-hand what I’ve previously seen in some Bollywood films that one of my daughters loved to watch when she was a bit younger… Congratulations to Sanymi and her sweet heart Mayank Camera Options and Evaluating my Shooting Needs Before getting carried away even further, I am suddenly realising that people are here to read a camera review and not a travel guide article so back to our main topic: I had to choose ONE camera for my journey and my options were the following: The Canon EOS R, Blackmagic Pocket Cinema Camera 4K and the FUJIFILM X-T3. Considering the fact that I was a single operator, far away from his home base who was about to shoot in a very dynamic environment the following points were crucial in order to choose the best tool for the job: (in no particular order) Camera battery life Camera media type Storage capacity Lowlight filming quality Internal body stabilisation OR the availability of stabilised lenses in my disposal Internal high quality recording and camera data rate Inclusive of Electronic View Finder (EVF) High quality High Frame Rate recording option LOG shooting option The availability of internal audio recording and monitoring (Preferably 3.5 mic input and NOT XLR as I wanted a simple low key microphone on top of the camera) Continuous autofocus performance The Canon EOS R, Blackmagic Pocket Cinema Camera 4K and the FUJIFILM X-T3 ALL have their own advantages and limitations so making the choice was not easy. In fact, until the last minute I was not sure what I’ll bring with me and use for this project. I’ve ended up taking the EOS R with me Time to Make a Choice – Which Camera was it going to be? Back to the camera “advantages and limitations” list, allow me to elaborate a bit. (Please note that this section is relevant for the type of filming I was about to do and only for that. On a different shooting scenario some of the points written below might turn out to be completely irrelevant). 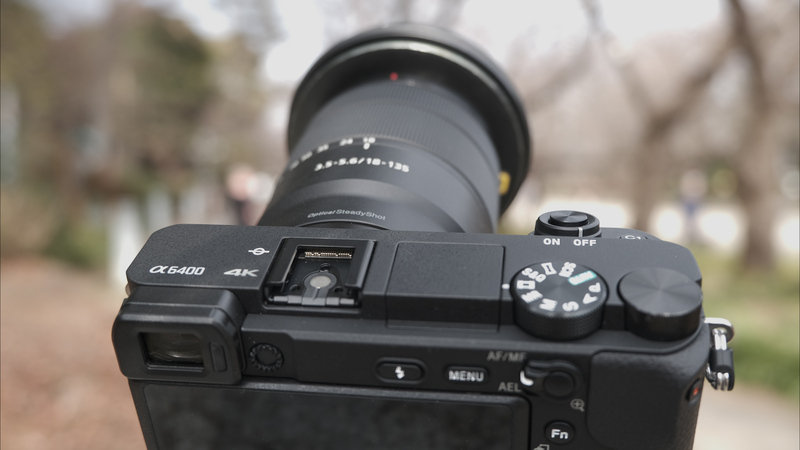 BMPCC 4K We had the BMPCC 4K at the office (See Nino’s full review by clicking here) and the images coming out of it are gorgeous, but I’ve decided to leave it behind and NOT to take it with me for the following reasons: The camera eats batteries like there is no tomorrow. (About 45 min filming time per battery) I knew that the camera will do well in up to ISO 3500 but had no time to check how it will function when shooting in a more demanding lowlight scenario. Next was the absence of IBIS. Knowing I’ll have to shoot handheld most of the time, I was not sure if relying on wide angle lenses to smooth out my handheld movements OR using our Panasonic 12-60mm stabilised lens, would be good enough for that purpose. 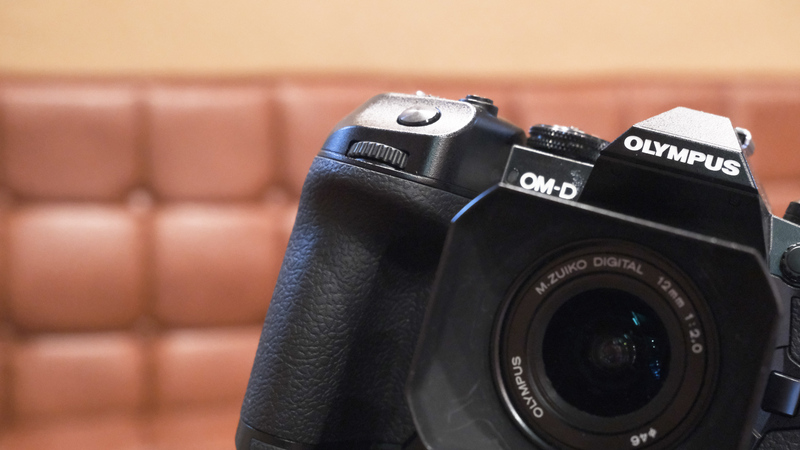 While being able to somehow manage the last point mentioned above, I figured that the lack of a continuous autofocus function could turn into a real problem while shooting “on the go” and as I’m writing this article after my assignment was done I can easily say, “Boy, was I right”… The last issue was the non existent EVF. The young generation kind of got used to film without it but- call me an old fashioned cameraman- I DO NEED a viewfinder. It is the only way for me to judge the correct exposure, it gives me an additional point of camera to body grip, and not less important it keeps the images I take to myself, meaning, I don’t have everybody and his mother on my neck watching what I do, acting as if they were second directors…. FUJIFILM X-T3 My next camera option to consider was the FUJIFILM X-T3. In all honesty, this is the camera that would have been a perfect fit for my mission. (I actually took it with me as a back up). After testing it before, I felt that I can trust it for filming that occasion for the following reasons: Manage the lack of IBISS by using stabilised wide angle lenses. (FUJIFILM 10-24mm in particular) Although the camera battery life is nothing to write home about, it is way better in handling power than the BMPCC 4K and with the 6 batteries at my disposal, I knew I could easily manage throughout the day. High quality internal video and audio recordings High quality internal High Frame Rate recording (Up to 4K/60 and 120fps in Full HD) Good EVF Compact and easy to use Good reliable continuous autofocus So why didn’t I use it during my project? Simply because I’ve tested it before and as a reviewer I felt that by shooting with it again I might “betray” our audience. After all one of the reasons for some of you to visit our site is simply to read about the video capabilities of new cameras. Canon EOS R So here we go. The camera I’ve been left with is the new Canon EOS R and after testing it for a few days at the office, I felt comfortable enough to use it during my trip. 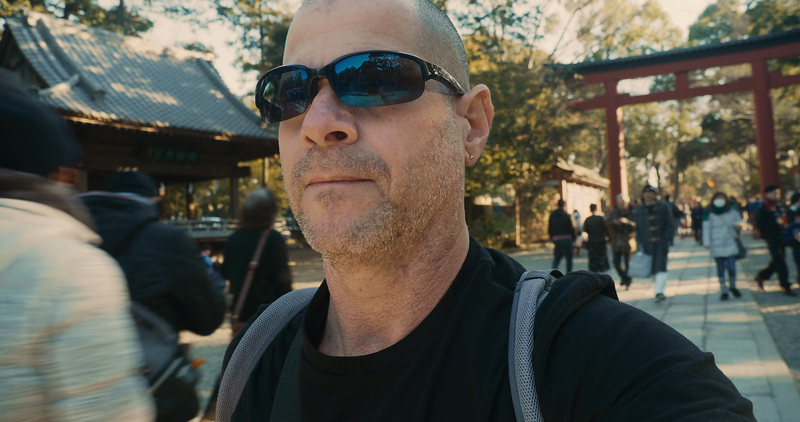 The continuous autofocus functioned very well (Mostly with the new Canon lenses), and although there is NO IBIS, the “Digital Movie IS” turned out to work well, helping me to smooth out handheld shots (When I write “work well”, I mean technically. Practically speaking, when choosing its strongest setting one might really compromise on the video quality as the images are rather soft). Of course I did not forget the camera down sides. 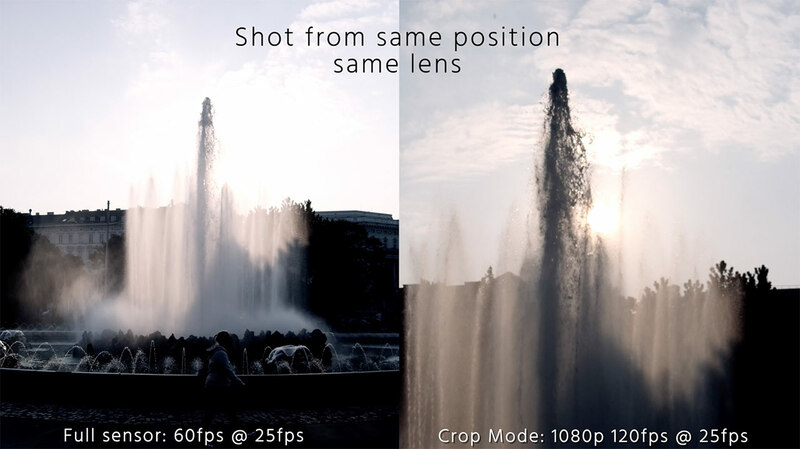 The cropped sensor in movie mode when shooting 4K is a complete let down and having a High Frame Rate recording in 720p is a thing of the past. On top, shooting in 8Bit internally feels as if Canon did not do their homework well. More points to observe and consider are the severe rolling shutter effect, absence of zebra patterns as an exposure metering aid and the single SD card slot. (So no backup or continuous recording is possible). Having all of the above reasons in mind, (and me wanting to put the camera to the test), I decided to go and shoot this mini documentary with the Canon EOS R and to keep the tradition of sharing with you guys real world footage samples. Interested in knowing how it did in the field? Keep on reading. Canon EOS R Dynamic Range measurements versus the competition Canon EOS R – Picture Quality Canon’s strength has always been its “color science”- and the EOS R is no exception! 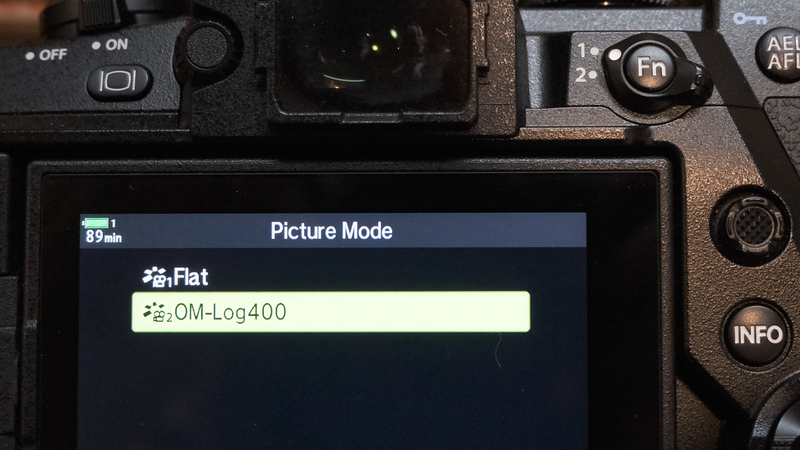 With 2 C-Log modes to choose from (The original C-Log and the newer C-Log 3), one might find it easy to match (and grade) with other popular Canon C line cameras such as the C200 and the C300 II. 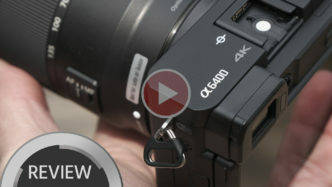 I also like the fact that Canon is continuing its tradition by offering an All Intra recording option with this camera. In fact, the data rate is so high (480Mbps) that some of the fast SD cards I’ve been using for recording internally with the FUJIFILM X-T3 won’t function well here as the camera simply ”choked” after a few seconds of filming, resulting in it to stop recording. So please be aware of this issue when choosing your recording media. (My Lexar Professional 128GB, SD XC II, 2000X, 300MB/s card coped wonderfully with this high data rate). For those who are looking for ready made 10Bit video files, look elsewhere (unless you are recording to an external recorder via an HDMI). Having said that, the internal 8Bit MP4 video files are very solid, and in a way reminded me of those files coming out of the C200…One disappointing fact when it comes to the overall camera performance is the very noticeable rolling shutter effect when shooting in 4K. We have not measured it yet, but it is rather severe! Speaking of which, the Dynamic Range of the Canon EOS R is just OK. We have measured 10.7 stops of DR in 4K/25p. (More about our Dynamic Range test can be found here) No way to create a short cut to some (Essential) functions. 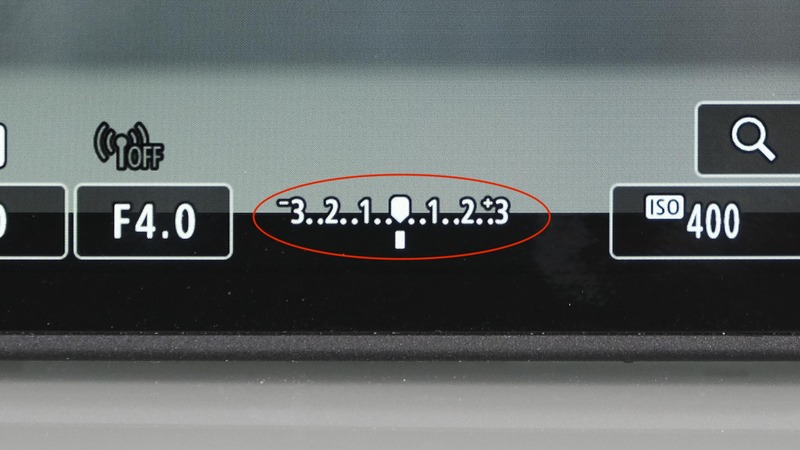 In this case, View Assist. Rec alert is too far up and to the right. 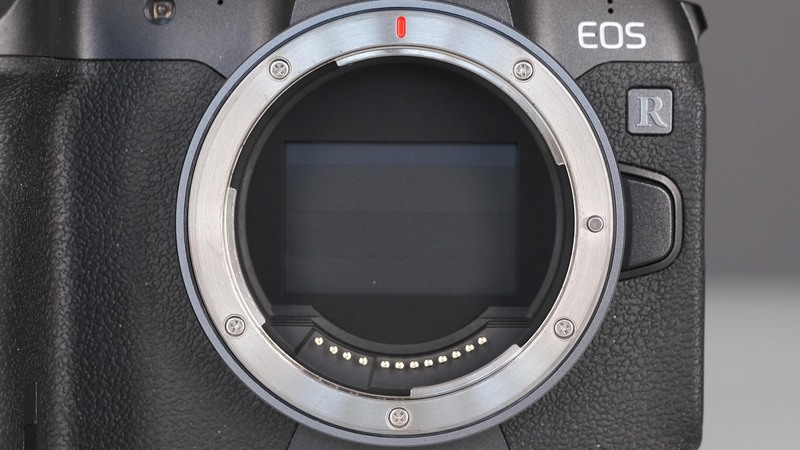 (More noticeable when looking through the EVF) Canon EOS R – Single SD card slot only! 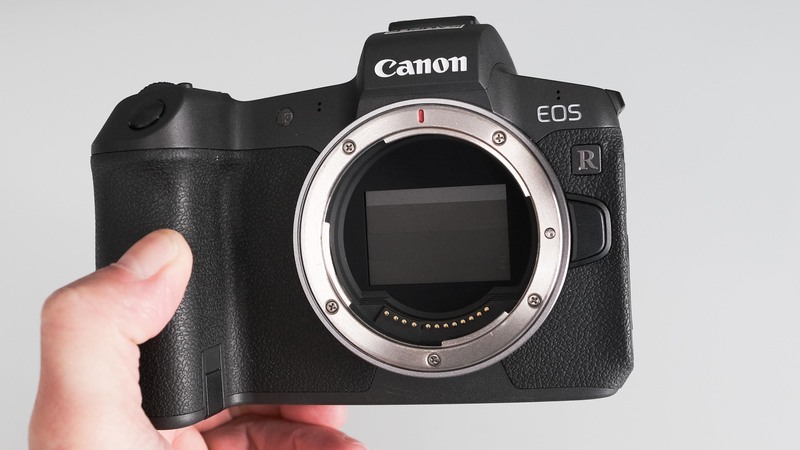 Canon EOS R – Handling At first, using the Canon EOS R felt a bit strange yet familiar at the same time.… If you are used to shooting on older Canon DSLRs you will feel right at home when navigating through the menu structure. 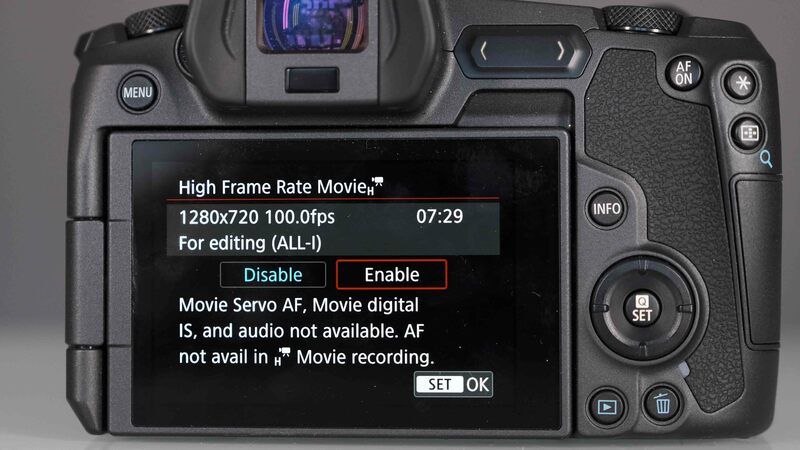 (As a side note, I hope that Canon will consider having a dedicated video menu structure implemented in their future mirrorless models). My only option to customise and have fast access to the buttons/functions I needed was to create my own video menu under “MY MENU”. When I wrote before that alongside the familiar I felt a bit “strange”, I meant that by looking inside the EVF the overall “feeling” of what I was seeing felt different. It took me some time to get used to the EVF and to my taste its quality is just fine. I’ve already used cameras with better EVFs. Speaking of which, the REC red symbol is located on the far right hand side of the screen, somehow making it hard to be noticed. (At least for me). I felt like constantly looking for it and to check if the camera is actually recording. Another grievance was the camera’s light measuring indicator. From whatever reason, it is there for only a few seconds after pressing the REC button, making it hard to judge the correct exposure while filming. In order “to revive” and bring it back, I had to half press the shutter button. Maybe there is a way in the menu to enable it to be there constantly but I could not find it. The EOS R hand grip is significantly thicker then the one found with the FUJIFILM X-T3 When it comes to simply holding the camera, (especially for a very long period of time like I had to during my shoot), it felt extremely uncomfortable in my small hands. I guess shooters with larger hands will feel fine holding the camera for long periods of time. In addition, I’ve assigned the new multi-function bar to assist me with controlling audio. Note that this function is working but not in a very logical way. First it needs to be activated by making a sliding movement, then, it will increase or decrease the audio levels by tapping on each side of the button. Ideally, I would want to put my finger on that responsive button and change the audio levels by just pressing and by doing so eliminating unnecessary potential camera shakes. On the brighter side, I found the “Digital Movie IS” function to be functional (BUT on the expense of reducing picture quality). In fact, 100% of the above film was shot handheld! 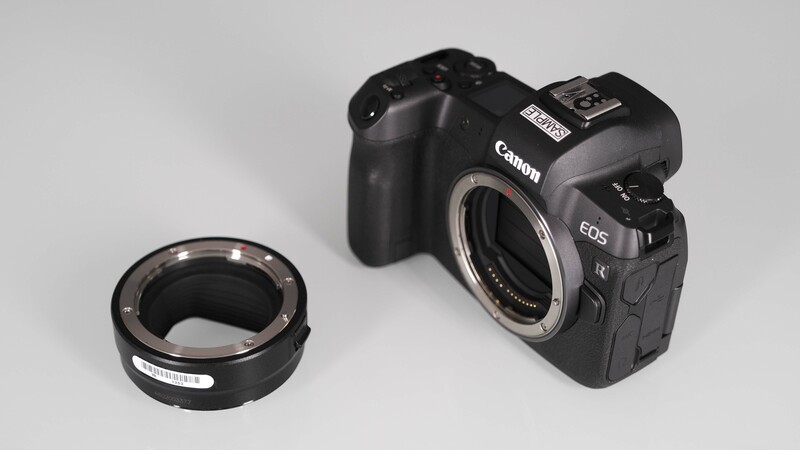 Canon EOS R and the EF lens adapter Lenses For that trip I took 2 lenses with me. 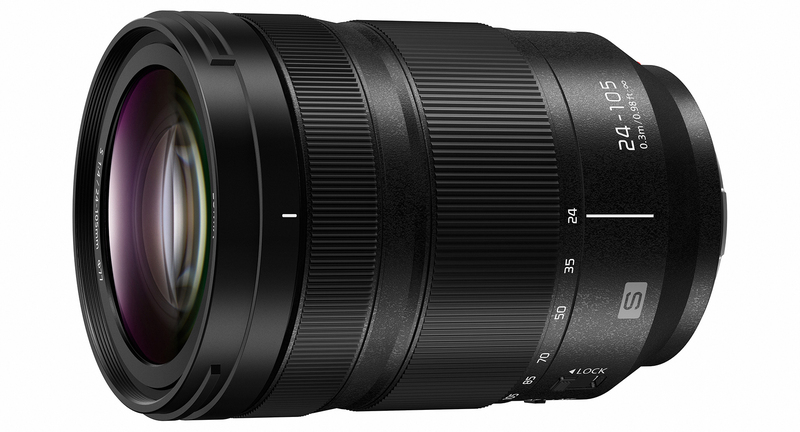 The RF 24-105mm f/4L IS USM lens kit and the Tokina 11-16mm f/2.8 (First generation). I also had the Canon EF to R adapters with me. The 24-105mm f/4 lens performed wonderfully BUT I doubt that for a Run & Gun video usage it is practical because of the imposed 1.7x cropped factor when shooting in 4K. Simply put, if you, like me, love taking wide angle shots, then the 24mm side of the lens will leave a lot to be desired. I chose the Tokina 11-16mm lens (first generation) because it is rather fast (f/2.8) and shooting with it wide was supposed to help me overcome the absence of IBIS in the camera. All in all it worked well (including in autofocus mode), but unfortunately the optical quality was not as good as I hoped it will be, mostly because currently the EOS R does not electrically support and correct optical issues (Like Chromatic aberration) with 3rd party lenses. So, in short, for now use Canon original lenses for maximum optical results. 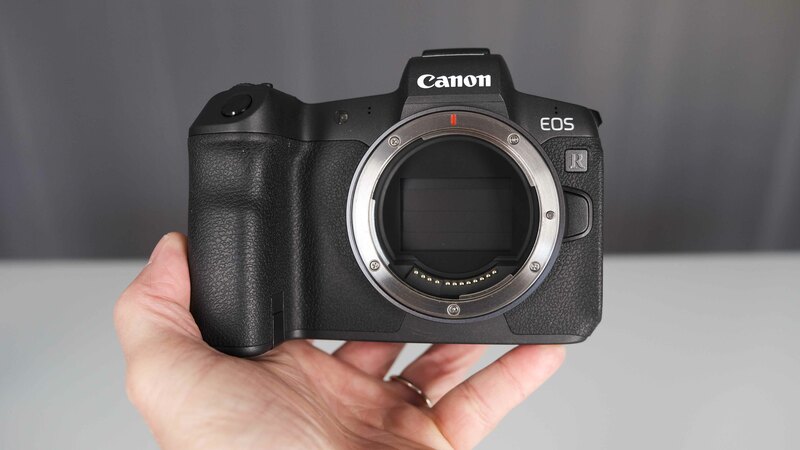 Canon EOS R – Touch & Drag AF works like a charm Canon EOS R – Shutter dust protector. Canon EOS R Strengths (In no particular order) Good lowlight quality. Up to ISO 6400 with no issues. Above it, noticeable noise but still usable. 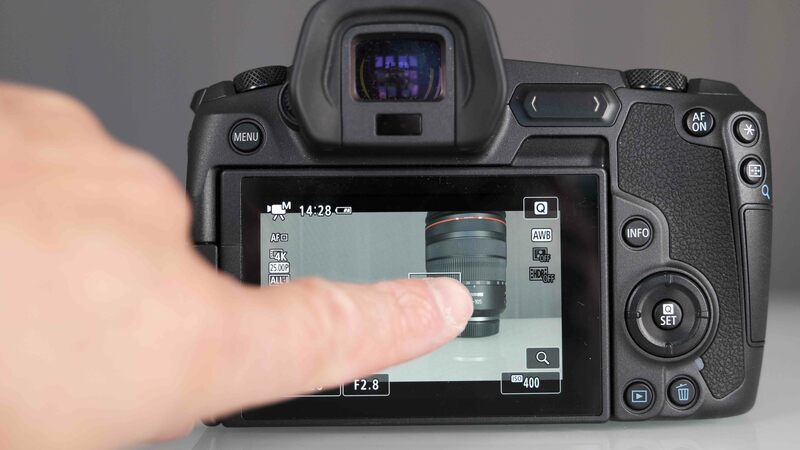 Focus peaking Swivelled LCD screen Shutter dust protector – Will automatically be engaged when the camera switches off Touch and Drag AF (LCD), makes it easy to change focus between given points Dual Pixel autofocus works well. Dual Pixel Focus Guide for an easy manual focusing High Data rate (Up to 480Mbps, All Intra recording) Excellent battery life No signs of overheating Manual audio adjustment and monitoring 4K,10Bit, 4:2:2 over HDMI to an external recording device Canon Log included (2 variations) World camera (24, 25, 30p in 4K) Canon EOS R High Frame Rate option. 100 fps in 720p quality only! 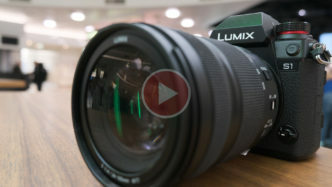 The light metering scale keeps disappearing after a few seconds of video recording Canon EOS R Weaknesses (In no particular order) Full Frame camera which unfortunately records 4K video in 1.7x cropped mode Severe rolling shutter effect No 4K DCI recording No internal optical stabilisation system Take in account that when using the strongest available digital stabilisation option, picture quality will suffer and will become softer No Zebra No “Joystick” for smooth and easy focus placement Focus magnifying won’t work while recoding 8Bit internal recording High Frame Rate in 720p quality only (120fps) No autofocus when shooting in High Frame Rate 60p is restricted to Full HD only The new programable slide touch pad needs to be activated first before operating. Then (in case of assigning it to sound levels) changes can be made by tapping only and not sliding If you have small hands, holding the camera becomes uncomfortable after a while Canon EOS R Conclusion At the end of the day, the Canon EOS R is a fine camera (And I let the images speak for themselves). My biggest question is if this camera can be classified as Canon’s top model justifying its high price tag? When it comes to video functionality, I have doubts. When it comes to photos, no clue. Others will have to judge. The people from Canon who we talked to, emphasised the fact that this is a “first generation” mirrorless camera so hopefully some of its shortcomings can be fixed on the next model to come. Camera settings for the above video: 4K/25p IBP, Canon Log: Cinema EOS Original, Edited on Adobe Premiere latest edition. Graded with FilmConvert Music courtesy of Music Vine and Artlist – Get 25% off your next music license on MusicVine.com with code C5D25 (valid for one use per customer). Thank you Nayni and Andrew for helping me fulfil a dream! 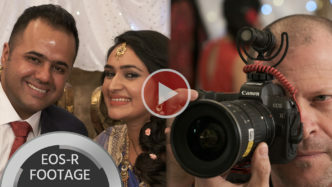 Many thanks to the Gupta family for supporting my initiative to film this wedding. धन्यवाद Do you have the Canon EOS R or have you considered getting it? Share with us your opinion in the comment section below. The Kandao QooCam is a handheld 360 and 180 3D VR camera that creates great looking VR video for social media. Check out our Kandao QooCam review and test videos. Kandao is one of the most innovative players in the VR camera space at the moment. This is an increasingly contested and fast developing market at the cutting edge of computational photography’s disruptive infiltration towards the mainstream. The QooCam comes from the makers of the Obsidian Go, Obsidian R and Obsidian S 8K and high speed 360 VR cameras. We’ve covered a number of recent developments from Kandao here on cinema5D including the recent 8K VR live streaming demonstrated at IBC. We also covered the announcement of the QooCam back in May. Before getting too deep, here are the sample videos shot with the QooCam. QooCam 3D 180 / 360 Videos Samples Below are the videos I shot while in Istanbul and in L.A. The top video is 3D 180, and the bottom video is 360. If you’re not set up for the full VR viewing experience, I recommend watching these on your phone rather than desktop, you’ll be able to move your phone around as a virtual window on the scene. QooCam Design From a design perspective the QooCam is one of the most exciting consumer VR cameras to hit the market. It has a unique twisting hinge that allows the camera body to transform from 360 mode to 180 3D mode very quickly. It has won both iF design awards and CES innovation awards in 2018. The camera has a good weight to it, and feels solid. The metal body of the QooCam is finished to a high standard and the hinge feels strong with a good positive lock into either position. The QooCam is minimalistic in design and purposeful with only the necessary buttons and indicators. 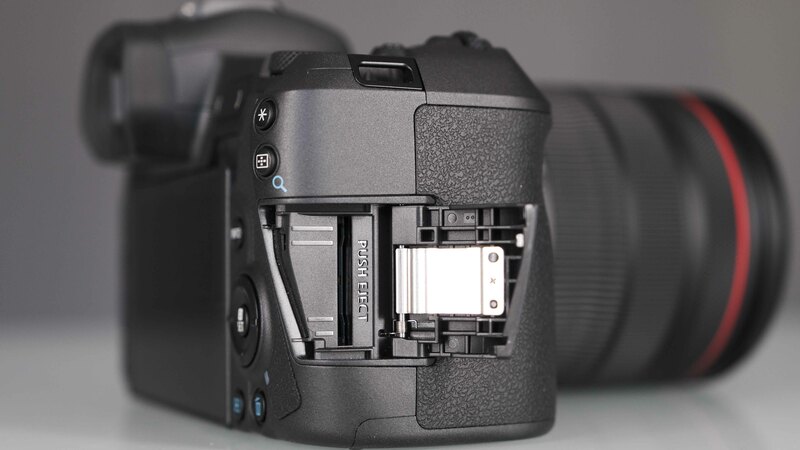 Some users have reported problems with the mounting thread in the base of the camera, and Kandao have begun shipping a new reinforced base to affected users. I really appreciate the look and feel of the QooCam, it feels like a premium device and handles easily. Mine didn’t ship with a selfie stick, so I had to use one I already had. This proved to be helpful as the camera is just too close to the user otherwise, especially when recording 360 material. I believe the selfie stick should ship as standard with the camera. It’s important to get the camera up and away from you as much as possible and this isn’t possible holding the camera body. The camera comes with a protective sleeve that slips over the lenses, it can also act as a base to support the camera vertically on a stable flat surface, it’s better than other cameras I’ve used with a similar concept. The only criticism I have of the QooCam design, is that the small plastic covers for the microSD card slot and micro USB port sit flush with the camera body and are difficult to pry out the first few times, but then become easier. Image Quality I have to say, I’m impressed with the image quality, sharpness and resolution of the video and photos recorded by the QooCam. 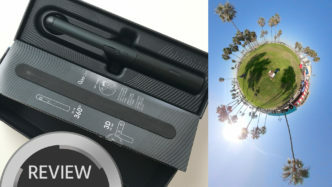 While there are cameras recently introduced such as the Vuze and the new Insta360 One X that record 5.7K resolution, the QooCam creates 4K (UHD) files, but in my opinion it is superior to other 4K VR cameras such as the insta360 One. The final recorded image is dependent on a lot of processing and stitching, so developments and improvements in software can give a camera an edge beyond just sensor pixel count. Software is increasingly able to intelligently and contextually enrich and enhance limited image sources, filling in some gaps in missing or noisy source image data. This will become increasingly true as computational image processing becomes even more effective. The sensor is important however and this aspect is still where these consumer level cameras fall short. They all suffer from limited dynamic range, which is to be expected of a phone camera size image sensor. As with all of these cameras, and smartphone cameras for that matter, this is especially obvious in bright, clear conditions around the sun, and in high contrast situations. The only way to improve this is for the manufacturers to start using much larger sensors (1″ and up) with higher color bit depth processing and recording. This is already the case for professional level VR cameras of course at a much higher price point. Having said this, while considering Kandao’s entire camera line up, they are market leaders in VR and have employed their considerable computational imaging prowess to good measure in a consumer camera. The QooCam is up there with the best in terms of image quality. Workflow The workflow for the QooCam is quite straightforward. For my example videos, I chose to process my video files in the desktop app, QooCam Studio. I was able to batch render a folder of files, applying stabilisation and rendering 4K 60Mbps files that are then easy to edit in any NLE. The QooCam App The QooCam app is available for iOS and Android. It provides control over camera settings, and a live preview which is very useful. The phone connects to the camera with wifi, which does mean you can’t be connected to a different wifi network for internet at the same time. I do however prefer this to bluetooth as it provides a more robust connection and the higher bandwidth required to stream a live preview. 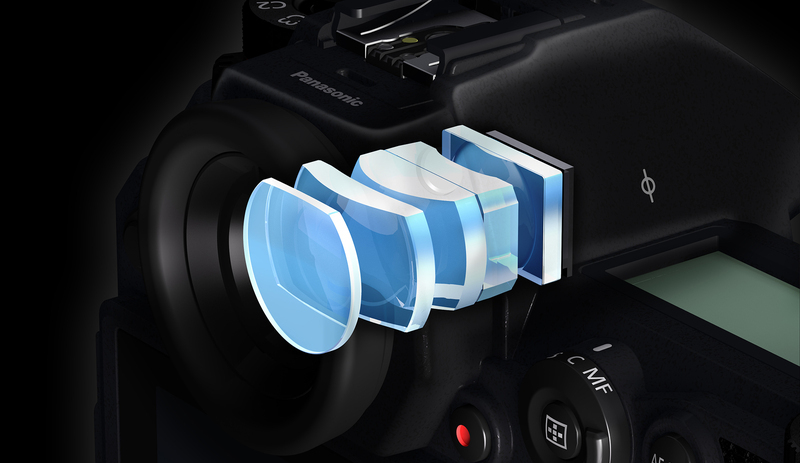 Switching between 180 3D and 360 mode is as simple as physically twisting the hinge on the camera, and both the camera and app recognise the switch and adjust. The camera settings are simple and straightforward. You can switch the camera between PAL/NTSC frame rates, format the SD card in the camera, and perform a firmware update. The video settings you can change are the video export bitrate, up to 60Mbps, and change timelapse between recording photos and creating a video. When in camera live preview, you can easily switch between photo, video, timelapse and “dng8” recording modes, and each of these modes has further camera settings. These including switching auto/manual exposure, EV, auto/manual white balance, and resolution/frame rate. The video resolutions and frame rates available are 4Kp30, 4Kp60, 2Kp100 and 2Kp120. When in photo and timelapse modes you can set the format to jpg or jpg + dng. I didn’t spend too much time with the QooCam app outside of camera control as I rarely do any kind of post with my phone, and I don’t post direct to social media. However, the option is there if you need it. The QooCam app provides a library with access to files on the camera (when connected over wifi), files that have been downloaded from the camera to the app, and edited files. Downloading files from the camera is simple, you just select them and download to your device, allowing you to work with them offline in the app after the camera is disconnected. You can edit 360 and 180 3D photos in the app easily, change the projection, and export 360 and 180 3D photos for social media or create screenshots of crops and tiny planet photos quickly, saving them to your phone photo library or post direct to instagram and facebook. Very intuitive, fast and easy to use. The QooCam app allows you to trim 360 and 180 3D video clips, exporting them to your phone photo library or post direct to social media. It also provides overcapture so you can save a 16:9 crop from a 360 video and keyframe points of interest so the camera view moves around. You can’t edit multiple clips together into a single compiled video, so the app doesn’t provide a full editor in that sense, but once processed, the video files are standard 3D 180 or 360 format and can be edited in any NLE. QooCam Studio QooCam Studio is a basic tool for batch processing and rendering 3D 180 and 360 video files. It stitches the two camera views and allows you to make adjustments for yaw, pitch and roll. You can also select between anti shake and full stabilisation, and enable or disable color correction. It’s easy to use and gives you exactly what you need to pre-process files for editing. Shooting with The Kandao QooCam There are a few ways to use the QooCam. You can shoot video or photos in 2D 360 or 3D 180. Since I was using the QooCam for the first time, with the specific purpose of writing a review, I chose to concentrate on 3D 180 while I was in Istanbul, and 360 while I was in L.A. a couple of weeks later. However, it’s really easy to switch between recording 180 and 360 on the fly, and between videos and photos. The learning curve for the QooCam is easy, in fact it is easier to use than other 360 cameras I have. Much of this is down to the app, it really doesn’t get in the way, and it doesn’t try to integrate you into an online community, or bombard you with notifications. I prefer not to be in my 360 videos, which is impossible unless you can set up the camera somewhere and leave it. In this case I didn’t want anyone to steal it, so you’re going to see a lot of me in the 360 video. This is one of the things I like most about shooting 180 VR, as you can still stay behind the camera, and hide the shadow of the camera itself. 360, 180 3D Photos and ReFocus While I am mostly interested in VR video when it comes to these cameras, and this was the main focus of my testing, the Kandao QooCam is the first I have used that generates a depth map in 180 3D mode and allows refocus in post. This is clever, and it’s nice to see it implemented in a small handheld camera at a consumer level. How it stacks up against similar tech in various smartphones would require a specific comparison test, and that’s beyond the scope of this review. It is worth mentioning however that the QooCam provides a full 180 degree field of view with a depth map, whereas smartphone 3D photos are significantly less. Above is a 2D cylindrical image output from the right camera only after refocus. The QooCam Studio application only processes 3D jpg images, which is a shame as the dng raw images may produce a significantly better result. There is also a DNG8 mode for photos which actually shoots 8 different exposures which can be combined to produce an HDR image. Live Streaming The ability to live stream from the QooCam is available now from the QooCam Studio desktop software on Windows only at this time. Testing this is beyond the scope of this review but it is a feature worth mentioning. Things I Like About The Kandao QooCam: Great design, materials and build quality. The camera looks and feels like a premium device Innovative 180 3D and 360 modes in the same camera Decent photo and video image quality Very good stabilisation Great app for control, editing and sharing, doesn’t tie you into an online community, deliver in app ads or annoying notifications Real time video preview in the app What Could be Improved: Covers for micro usb and microSD card slots a bit tricky to open Camera is a little bit close when holding by hand, a selfie stick is definitely a must have accessory. Should You Buy the Kandao QooCam? In conclusion, if you are looking for a user friendly, well built VR camera to create content intended for social media, that will mostly be viewed on small screens, the Kandao QooCam is tough to beat for the simple reason that it gives you 3D 180 and 2D 360 VR in a single device. Image quality is adequate for social media posts and it won’t get in the way of capturing the scenes and moments you want to share. Is it capable of professional or commercial quality? No, but for what it is, and how it is intended to be used, it ticks all the boxes. Do you have a Kandao QooCam? Are you thinking of buying one? Let us know your thoughts in the comments. 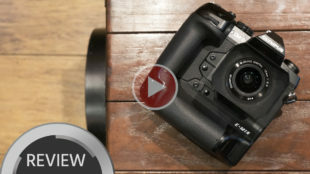 In this first-look hands-on review with the long-awaited Blackmagic Pocket Cinema Camera 4K, we took a close look at all aspects of the camera: Apart from the quality of the footage itself, we judged ergonomics, handling, design as well as low-light and dynamic range performance. Watch above and read below to learn more! 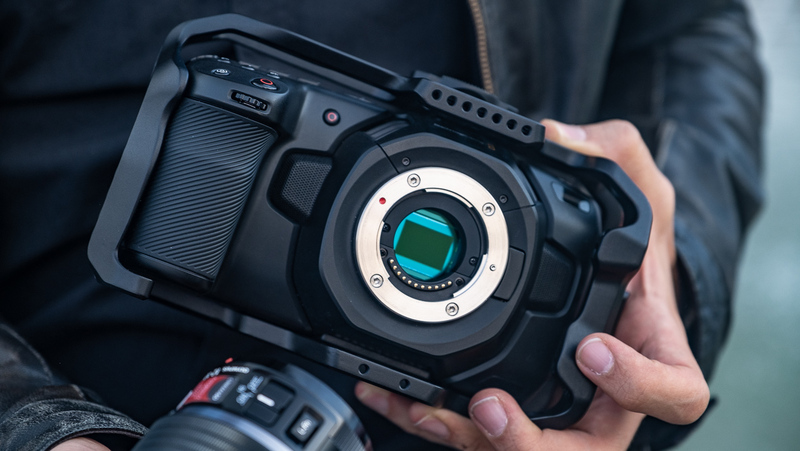 The Unicorn Is Here Ever since its announcement at NAB in April this year, the Blackmagic Pocket Cinema Camera 4K has become the most-anticipated camera release of the year. We shot an exclusive interview with Blackmagic Design founder Grant Petty in Las Vegas, where he answered all of our questions about the newly announced device. 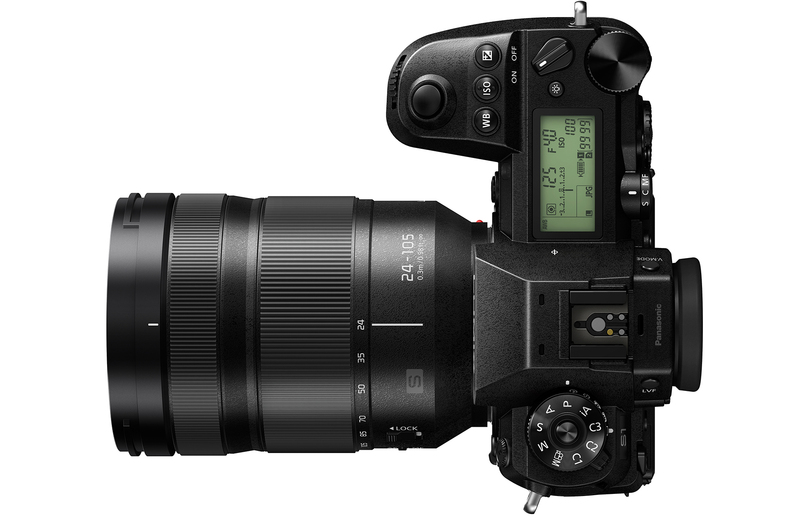 Blackmagic promised to start shipping the camera in September – and for once, they somewhat managed to keep that promise. Very small numbers of the BMPCC 4K started being shipped out at the end of September, however they are still nowhere close to meeting demand. It seems like production has been somewhat slow, but at least by having had a press loaner for about two weeks we can confirm that it works, and it works really well. Size, Monitor, Handling What’s most striking about the new Pocket 4K is the fact that you need very big pockets. 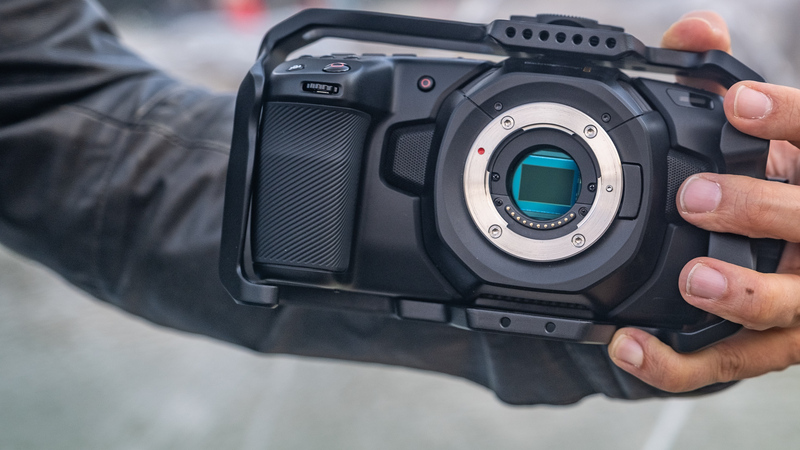 Just like Blackmagic’s URSA Mini was never “mini”, the Pocket 4K doesn’t fit in a pocket. 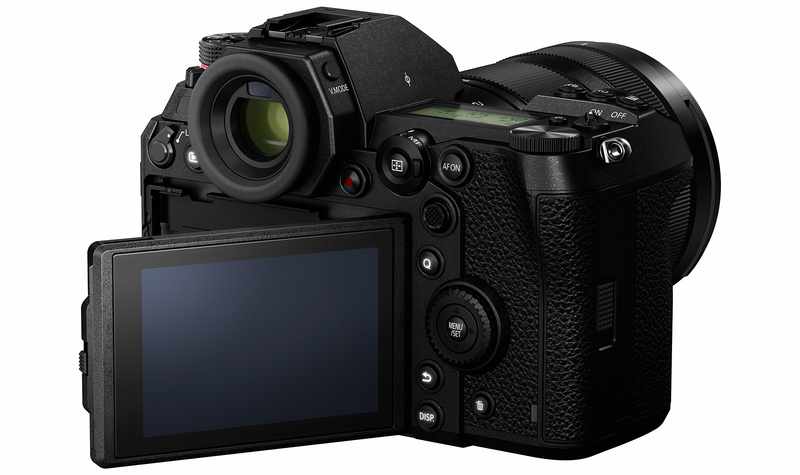 Compared to its predecessor, the very popular Blackmagic Pocket Camera camera, the BMPCC 4K is very large. However, that is thanks to a gorgeous 5 inch multitouch display at the back of the camera. It’s 1080p and brilliant in every way, particularly for a camera that costs so little. It’s super easy to judge focus and the controls are very responsive. What’s missing is a viewfinder, which means loupe adapters like Zacuto’s Z-Finder might have a renaissance. However, as you are required to use the screen with your hands, such a loupe might prove impractical because you will have to take it off constantly in order to be able to control the menus and change most settings. So that only leaves you with adding an external viewfinder to this camera when working out in sunshine (where you really can’t read the screen well). 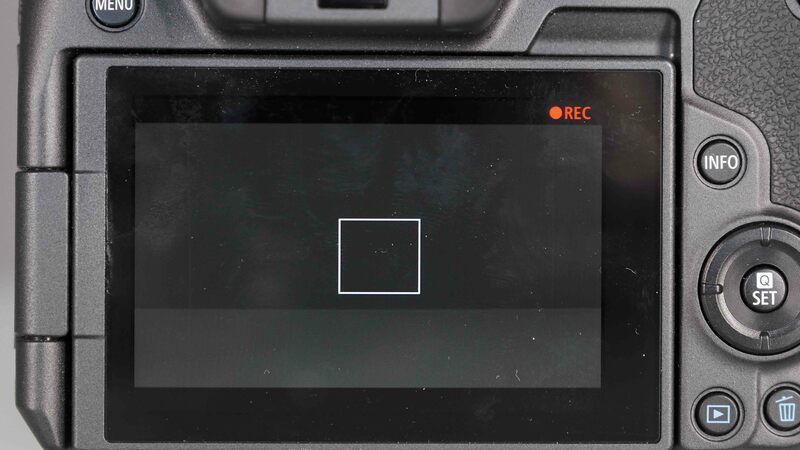 While the screen is really nice and very responsive to any input, it’s unfortunate that Blackmagic decided against a floppy screen or even just a tilt screen – especially because there is no viewfinder as an alternative whatsoever. 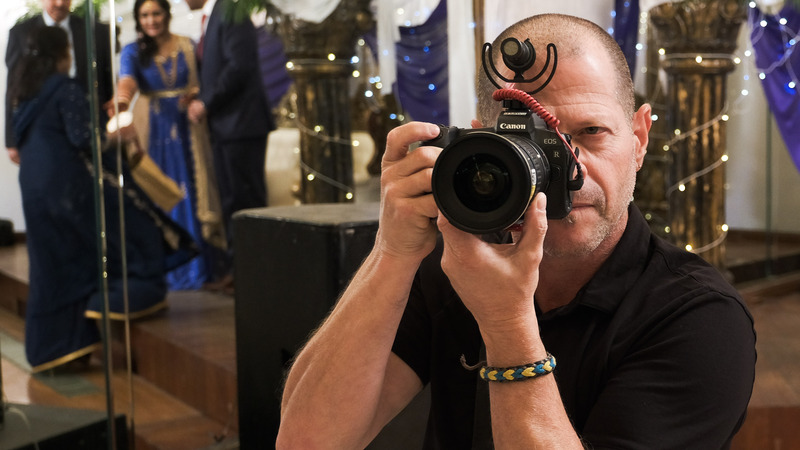 Very often you find yourself bent over backwards with this camera when you are shooting with it alone without assistants. The BMPCC 4K feels good in the hand when you have large hands like me, but I know that some other people will have a problem with the hefty grip of the camera. 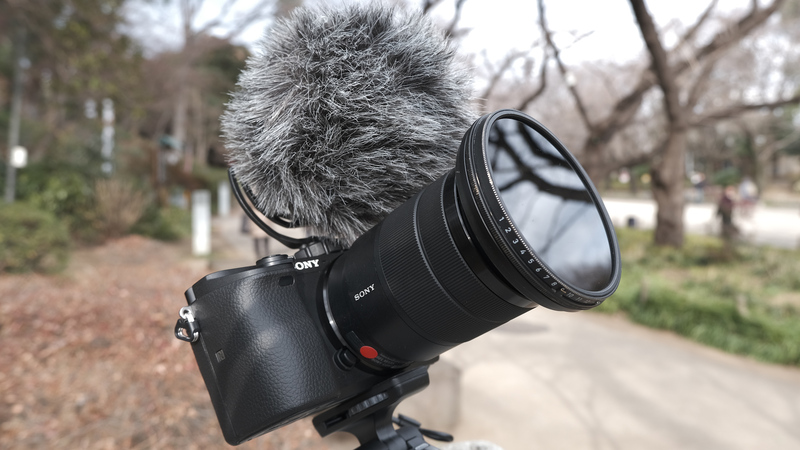 There are two microphones left and right of the lens mount which should in theory bring nice stereo sound, however you find yourself touching these microphones all the time when holding the camera, because they are not ideally placed. However if you are aware of it, it’s of course much easier to avoid doing when filming. In terms of menu design, Blackmagic Design is still my personal champion … the menu is so straightforward and easy-to-use that you really never need to touch a manual or anything like that. 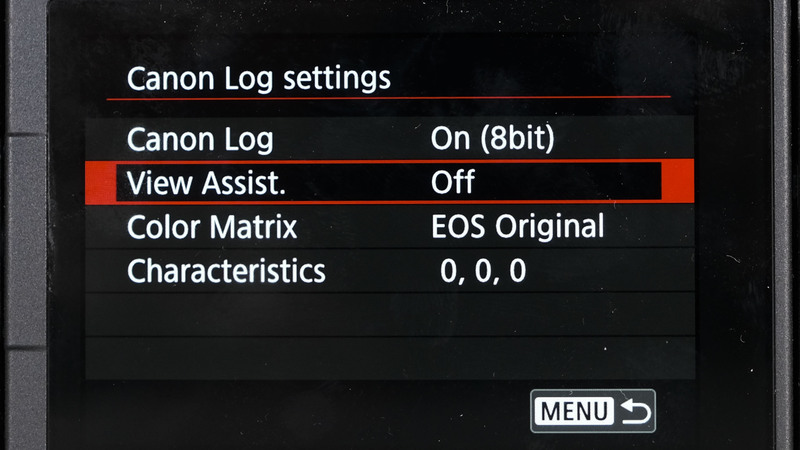 When you see camera menus like this, you start wondering why all the other (mostly Japanese) camera manufacturers never managed to make straightforward menus where you can actually find stuff more easily. 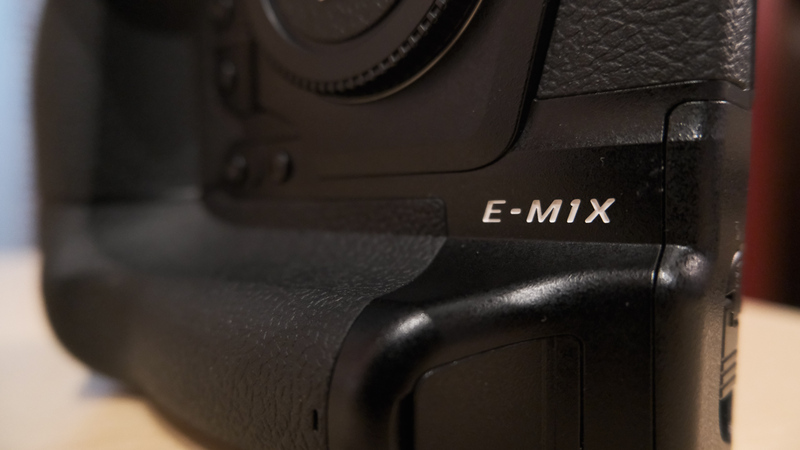 Battery Life The BMPCC 4K uses Canon LP-E6 type batteries. 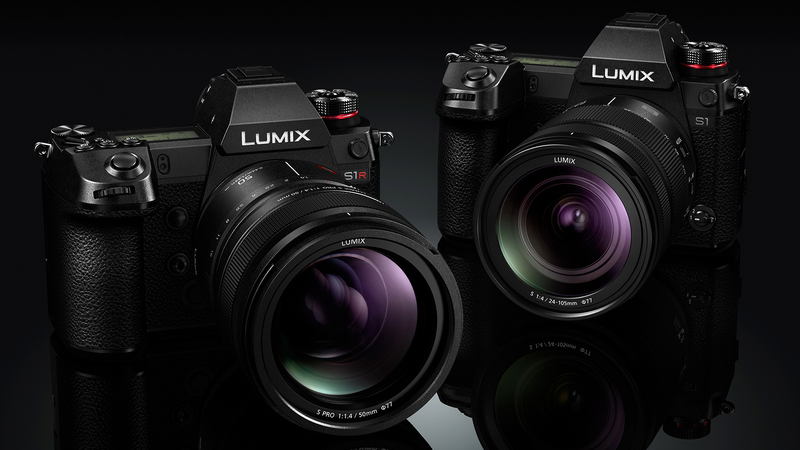 The same standard as the 5D Mark II and III, and many many other popular Canon cameras. This is a nice move since it means that you can continue using your old batteries. However, the power management of the camera seems to be quite poor. At random times below 20% charge, the camera actually simply shuts off without warning. Also, a battery also typically only lasts 35-45 minutes, which isn’t long at all. We recommend using an external power solution like for example the Core SWX Powerbase EDGE with a dummy battery, which can last you many hours, if not a full day! It makes your footprint with the camera bit bigger, but also more powerful and reliable. Core SWX Powerbase EDGE Battery for Blackmagic Design Pocket Cinema Camera 4K Sensor and Sensitivity The BMPCC 4K comes with a MFT sensor that is supposed to be quite light sensitive, with a dual ISO of 400 and 3200. In my video test I could verify that these two ISO values were indeed the two with the least amount of noise in the picture. If you are aiming for high quality images, I would not shoot beyond ISO 6400, however I think it’s totally acceptable to do so for documentary or other reality content. The noise of the sensor is quite pleasant and should be fairly easy to get rid of using de-noise in DaVince Resolve (which, by the way, comes for free with the camera in its Studio version – the normal version is free anyhow). This camera is miles better than the original Pocket camera when it comes to low light, and it’s a lot better than many others in the market. During the shoot of the intro of this review, we were losing light rapidly as all of this was shot after sunset in the woods. With a 25mm MFT f/1.2 lens from Olympus, I was able to get exposure by increasing the ISO progressively, with the lens always wide open. As you can see above, even the ISO 16,000 shots are tolerable, albeit noisy. Codecs, Resolutions and Frame Rates What sets Blackmagic cameras apart is the fact that they record RAW and various flavours of ProRes, as opposed to highly compressed proprietary codecs like most other manufacturers. That means 12-bit RAW recorded internally in a camera, and that is a big deal – especially at this price point. The Pocket 4K cannot record in Blackmagic RAW yet (we have reported about it in an interview with Blackmagic here), but it records RAW in DNG sequences (which is of course data intense!) However, the RAW images end up being 12bit, while ProRes HQ is only 10-bit (which is still much better than what 90% of professional cameras in the market can do). What’s impressive is the capability to record up to 60fps in full quality in 4K. Only when you want to go even higher with your frame rates, you have to switch to 1080p and activate a dedicated “sensor crop” button. Under that sensor crop, you are then able to record 120 frames per second. 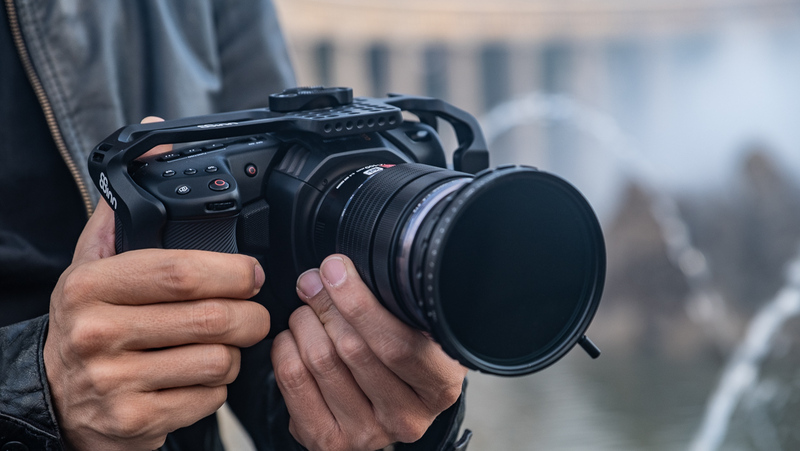 Dynamic Range Tests and Questions … Our technical expert Gunther Machu ran a couple of cinema5D Lab Tests with the BMPCC 4K before it had to go back to the manufacturer. Before you read on, in case you haven’t read it yet, please look at our recent article explaining the methodology of our lab tests – here’s the link. The result: 11.6 stops of dynamic range for a signal to noise ratio of 2 (12.7 stops for a signal to noise ratio of 1) at ISO 400 (10.5 and 11.8 stops for ISO3200), in ProRes 4K DCI 25p. Interestingly, when we tested the same DCI 4K 25p RAW (1:1) we found that the dynamic range reading was lower (by about a half stop). Only when we selected the “highlight recovery” option in DaVinci Resolve and then exported frame grabs into IMATEST we got similar results to ProRes. This is a bit strange, because we tested also the old Pocket Cinema Camera and it had the same dynamic range reading in ProRes and RAW – and when we enabled the “highlight recovery” option in Resolve, we actually got about 0.6 stops higher DR in RAW that with ProRes. How come that the DR of the new Pocket 4K is lower in RAW, and only matched ProRes when “highlight recovery” is selected in Resolve? Is ProRes doing this HL recovery automatically? We reached out to Blackmagic Design, and received a reply very promptly: Reply from Andy Buckland, Blackmagic Design (after a call with Gunther Machu): The Pocket Cinema Camera 4K uses our new demosaic algorithm developed with Blackmagic RAW, before encoding to ProRes. This new algorithm helps to reduce noise and improve the dynamic range in ProRes capture. With Cinema DNG RAW, the demosaic is still performed in DaVinci Resolve. That enables full control and manipulation over debayer settings, noise reduction, and highlight recovery to increase the dynamic range measurement beyond that of ProRes. By applying minimal temporal noise reduction to the Cinema DNG RAW files in DaVinci Resolve – the lower steps on the waveform can be cleaned up nicely, bringing the available dynamic range of RAW in line with those seen in your ProRes tests. 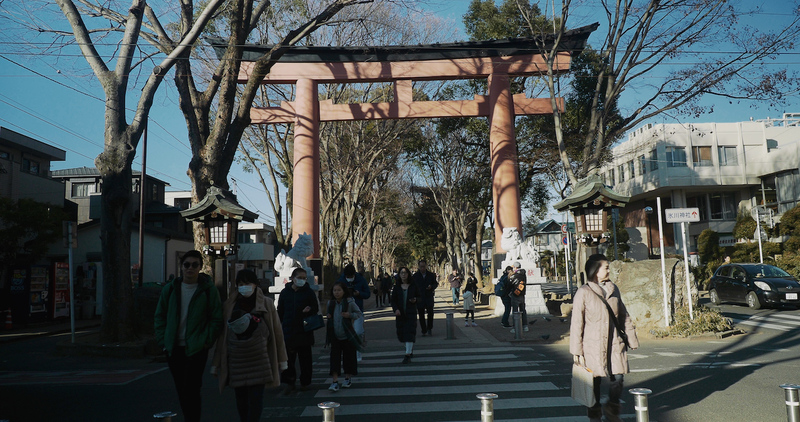 Then by enabling highlight recovery, the available dynamic range in Cinema DNG RAW increases beyond that of ProRes. ProRes users benefit from the new debayer algorithm in terms of dynamic range and reduced noise at capture, resulting in a faster turnaround. RAW users benefit from the full control and manipulation of the image, to decide which parameters they would like to tweak and finesse. 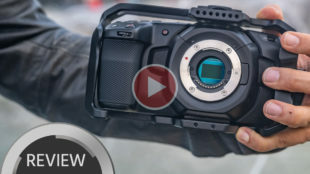 Conclusion There are many more things to say about the Blackmagic Pocket Cinema Camera 4K, but please do watch the video if you haven’t seen it yet, as many things are covered there in more detail. Blackmagic really did their homework with this one and listened to as many customers as possible when designing the successor to their original Pocket Camera. 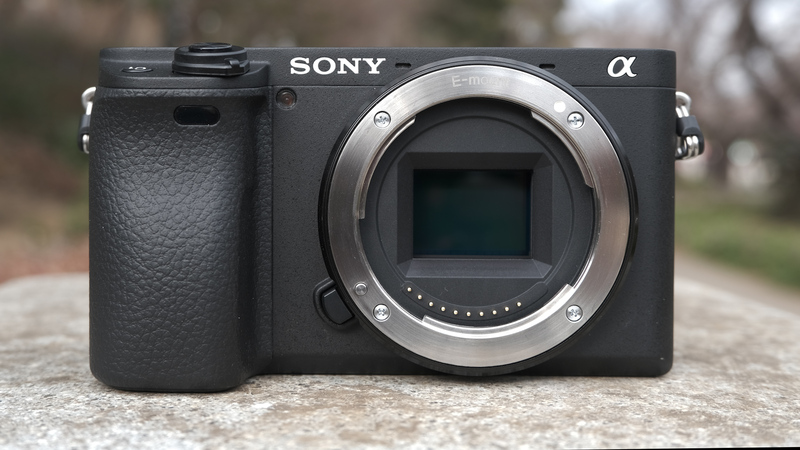 The image out of it is beautiful and “cinematic”, the dynamic range is better than the one of similar cameras in the market right now, and it’s just very enjoyable shooting with it. It’s not a perfect camera of course, but it has a lot to offer. I can’t wait to took a much closer look at the camera soon. The music used in the video above is courtesy of Music Vine. Get 25% off your next music license with code C5D25 (valid for one use per customer). What do you think about the BMPCC 4K? Did you pre-order one, and are you still waiting for it? Please let us know in the comments below.